If you'd like to view your customer's signed waivers on an Android tablet, the easiest way is to download our free Smartwaiver Waiver Console app. 1. Download the Smartwaiver Waiver Console app for your Android device. 2. After the app is installed on your device, enter your Smartwaiver username and password. Once you're logged in you can preview individual waivers, see the most recent waivers that have been signed in real time, check-in your customers, view your waiver statistics with Smart Trends, filter and search for a specific person and capture photos of IDs. 1. Select the Gear Icon. 2. Select New Lock Pin. 3. Set a four-digit pin. 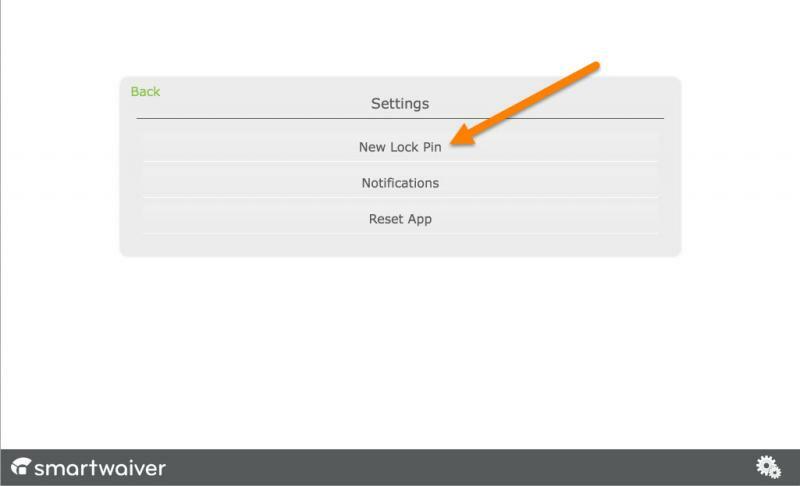 You can set a new Lock Pin, remove the old one or completely reset the app which will require you to enter in your log in information again. 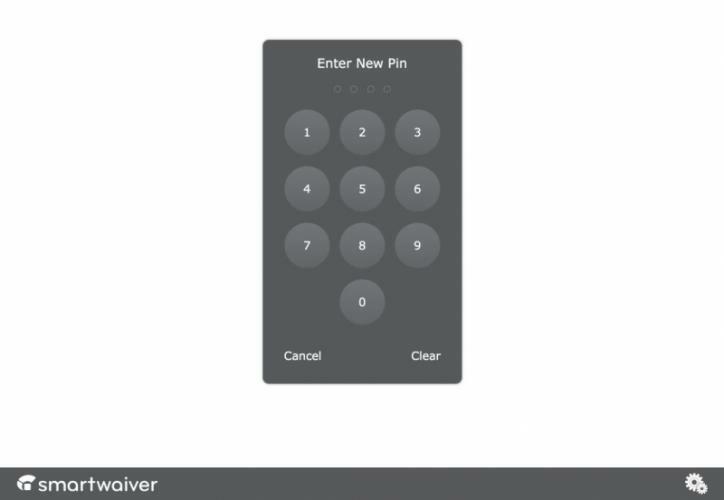 Tap the lock icon in the bottom tray bar and access to your waivers will require the Lock Pin number to access the Console. Can I take a picture of a participant's ID and associate it with their signed waiver?